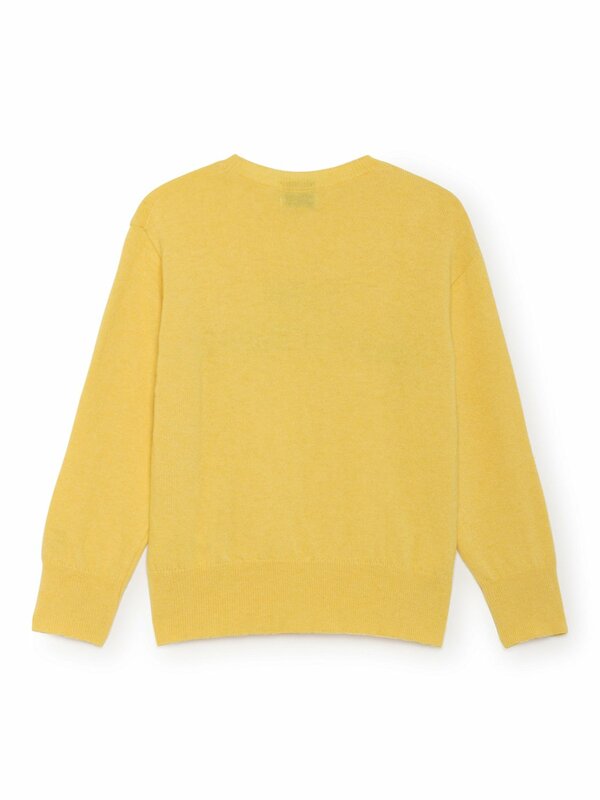 This yellow jumper is the perfect garment to enlighten grey days and warm up cold ones. 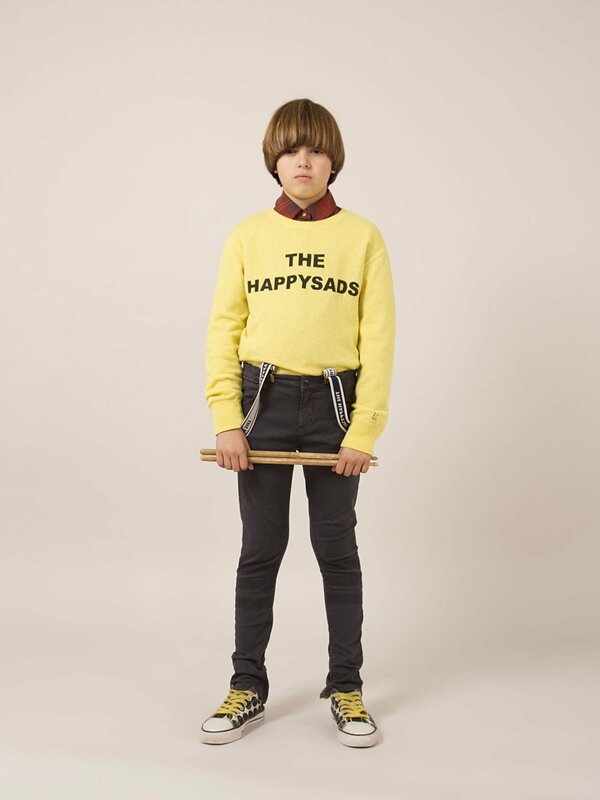 It will also make happy any fan of The Happy Sads rock band with this super cool print on the chest. B.C embroidery on the sleeve, The Happy Sads print on the chest, straight fit.